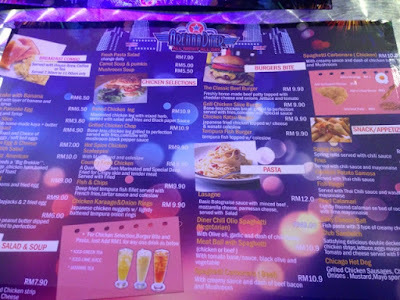 Is Arenaa Diner, Pudu Back in Business? 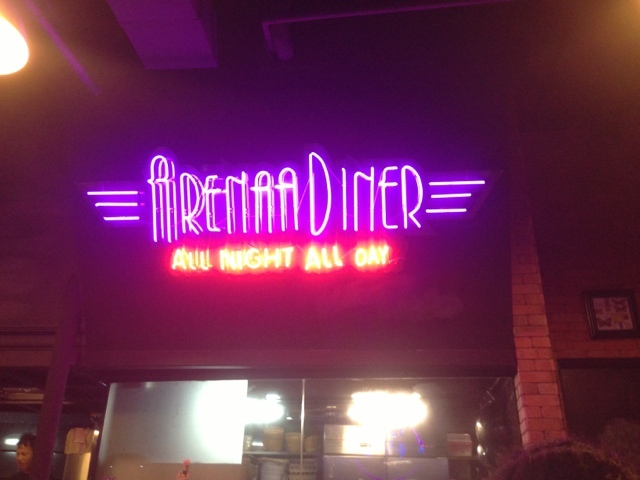 We bid farewell to Arenaa Diner, Jalan Tun Perak (Pudu) a few months back. Those working around the area would be familiar with this makan place. I personally dubbed it "A piece of New York in Pudu". Read my previous review here. Due to an increase in rent, the owners decided to close shop and open a new outlet in Petaling Jaya, with a different name. Just two weeks ago, I realized this place is back in business... with the same name. Greeted by the same familiar faces of waiters and waitresses. My speculation is that when the old Arenaa Diner owners left, the new owners managed to hire the cooks and staff and it's no wonder that the menu is rather similar. Similar food from the previous Arenaa Diner. There's the pastas, burgers, and Japanese fusion selection. For example, the chicken karaage. Same taste as the last time I had it with the old management. 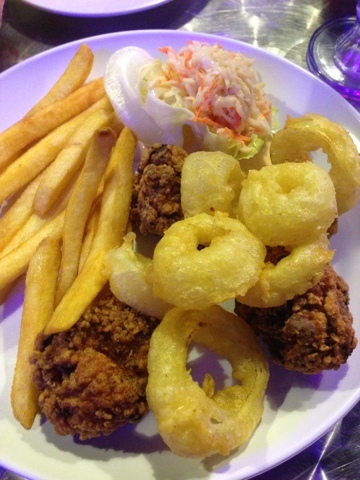 Lovin' the fries and onion rings. 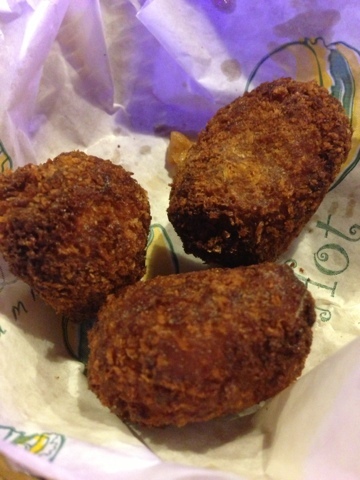 My colleague ordered the cheese balls, which is a new addition. A bit 'hangus' right? 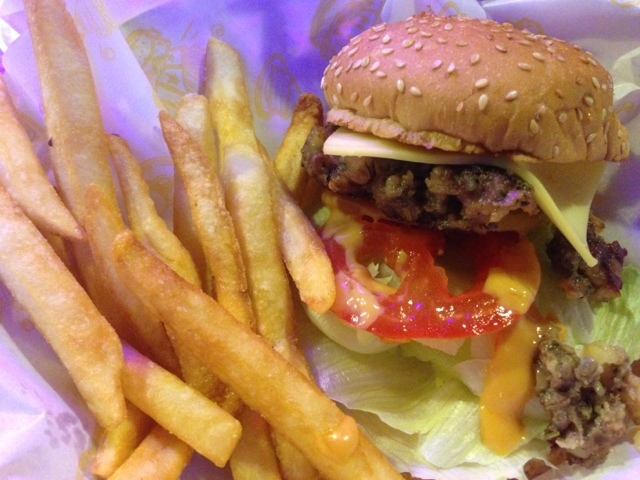 I also tried the beef burger (during a visit, of course!) and the only different is that they added slices of onions, which is a wonderful add-on to add more taste to the burger experience. One thing that I just hope the new owners would change: Use Heinz chili sauce, instead of Kimball. Baru ada 'kelas' sikit!